Illá is pronounced: EE-Yah. Like when one says "See ya later"
Mr. Christopher Illá, is a graduate of Miami-Dade County public Schools. He attended Village Green Elementary School, went on to W.R. Thomas Middle School where he began playing the Trumpet in band under the direction of Mrs. Mary Terhune & Mr. Fernando Collar. He then graduated from G. Holmes Braddock Senior High School under the direction of Mr. Tom Santino, Mrs. Mayra Cobia and Mr. Erich Rivero. After graduating high school Mr. Illá went to Florida International University, Miami Dade College and the University of Miami, where he studied with musicians such as: Mr. John Georgini, Dr. David Brubeck, Mr. James Hacker, Dr. Roby George, Mr. Phillip Clements, Mr. Gary Green, Mr. Craig Morris, Dr. Joyce Jordan, and Dr. Nick Decarbo. Mr. Illá holds a Bachelor of Music in Music Education from the University of Miami and a Master of Science in Educational Leadership from Florida International University. Mr. Illá began his teaching career at Felix Varela Senior High School where he held the post of Assistant Director of Bands and then Director of Bands. 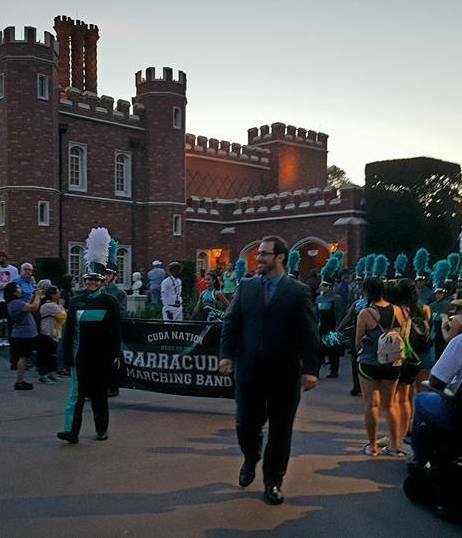 During his time with the Felix Varela HS Band, the Wind Ensemble, Jazz Band and Marching Band all earned Superior ratings and the Marching Band earned high awards at State marching band competitions. Mr. Illá then assumed the position of Director of Magnet Bands at Coral Reef Senior High School where again the Wind Ensemble, Symphonic Band, Jazz Band, and Marching Band all received Superior ratings. During his time at Coral Reef HS he commissioned new music as a part of consortiums and individually to bring new music literature to the band world. Some of Mr. Illá's fond memories with his high school bands were watching students grow and make it to prestigious universities and conservatories to study many different disciplines, earning the Otto J. Kraushaar Award from the FBA, participating at the 2010 FMBC State Championships, and watching his students marching through Disney's Epcot Center in parade. Many of his former students are performing at Colleges, Universities, Conservatories, Military Branches, and also with professional and private ensembles. His alumni have attended some of the most prestigious universities and schools of music and are themselves working to become music educators, entrepreneurs, doctors, lawyers, politicians and professionals that will make a positive impact on our society. ​"All you can do is all you can do, and all you can do is enough"
"Activity finishes the miracle of turning nothing into something." "Music can change the world, because it can change lives"